1. 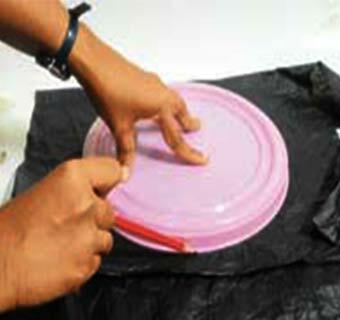 Using a large circular lid or any circular object, trace a circle on the plastic cover and cut it out. 2. Mark eight points along the edge of the circle as shown. The points should be equally spaced. 3. Take eight strings of equal length (each about 50 cms long). Stick one end of each string to the markings on the circle. 4. Tie all the loose ends of the strings into a knot and attach it to your action figure or stone using tape. When you drop the action figure or stone from a height, it lands gently on the ground as the parachute opens up and slows down the fall. How does the parachute slow the fall? An object falls because the force of gravity pulls it down towards the ground. 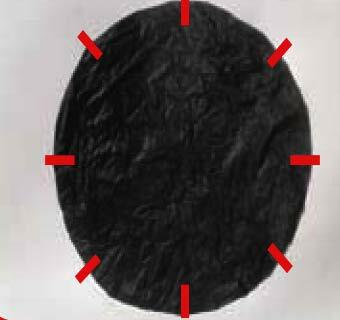 When the parachute attached to the object opens up, its surface area increases. Thus, it traps a large amount of air under it, which offers resistance to the falling object. Now, there are two forces that are acting on the object: gravity and air resistance it is similar to someone trying to you push you back when you are trying to move forward). 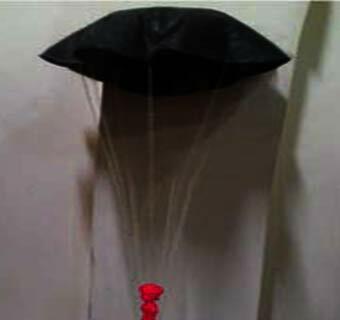 The air resistance caused by the air trapped under the parachute is greater than the gravity acting on the object, and hence the fall is slowed down. 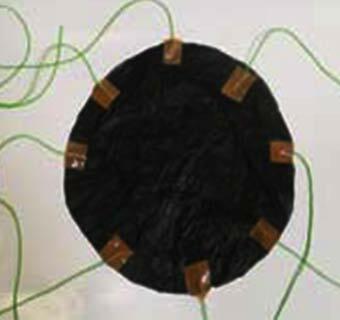 What are the uses of a parachute? A parachute is used to slow down the jump of people or fall of things from heights, ensuring they can land safely: soldiers use parachutes to land safely after jumping off planes; fighter jets use parachutes to slow themselves down after they land on aircraft carriers; packets of food and medicines are tied to parachutes and dropped from planes into areas affected by natural disasters.